Rajasthan – the land of Maharaja’s, takes the crown from other Indian states when it comes to flashing exotic colors, articulate architectural patterns, and traditions that celebrate life. The sandstone structures, colorful cities, and vibrant desert towns transport you to one of the fables from the Arabian Nights. Rajasthan is rich in cultural heritage and it has something to amuse everyone: Yes, Rajasthan is a place where you will find elephants and snake charmers! 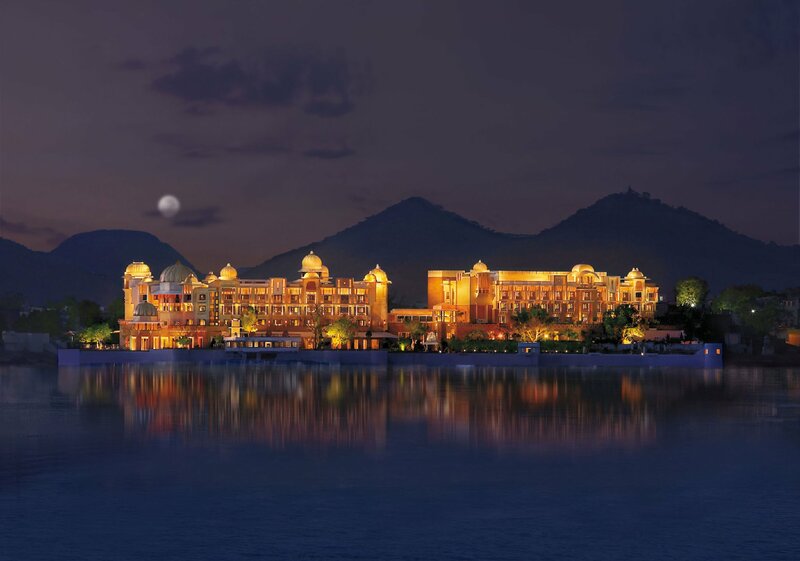 Udaipur city is known for its old mansions, palaces, and crystal clear lakes. The architectural designs are an amalgamation of Rajput military architecture and Mughal style designs. The most famous landmark representing this amalgamation is the City Palace, which is located along the shores of lake Pichola. Many of the palaces have been converted into luxury hotels. It is often called the “Venice of the East”, and is also nicknamed the “Lake City” or “City of Lakes”. Lake Pichola, Fateh Sagar Lake, Udai Sagar and Swaroop Sagar in this city are considered the most beautiful lakes in the country. Pushkar has earned the title of the Land of Fairs and Festivals. 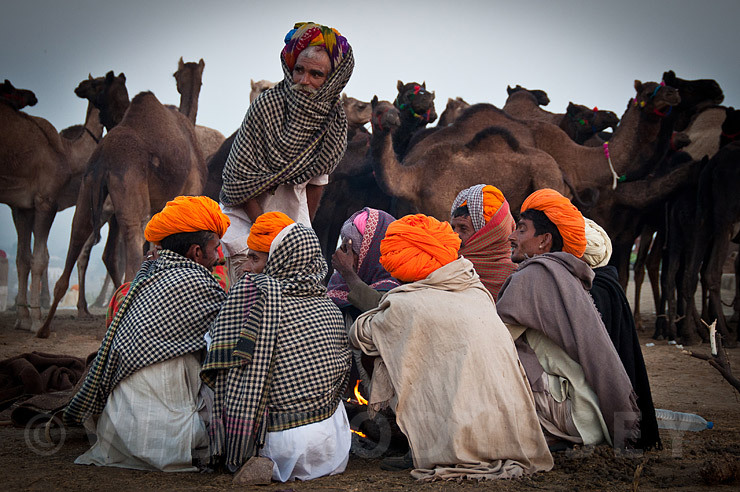 The Pushkar Fair is famous for its religious and cattle fair. The fair is held on the 11th day of bright half of the moon, which falls in the month of October/November. The Pushkar Fair begins with paying obeisance to Lord Brahma. Pushkar has India’s only temple dedicated to Brahma. After visiting Brahma temple, don’t forget to visit Savitri temple – Lord Brahma’s wife! Jodhpur or Blue City is the second largest city in Rajasthan. 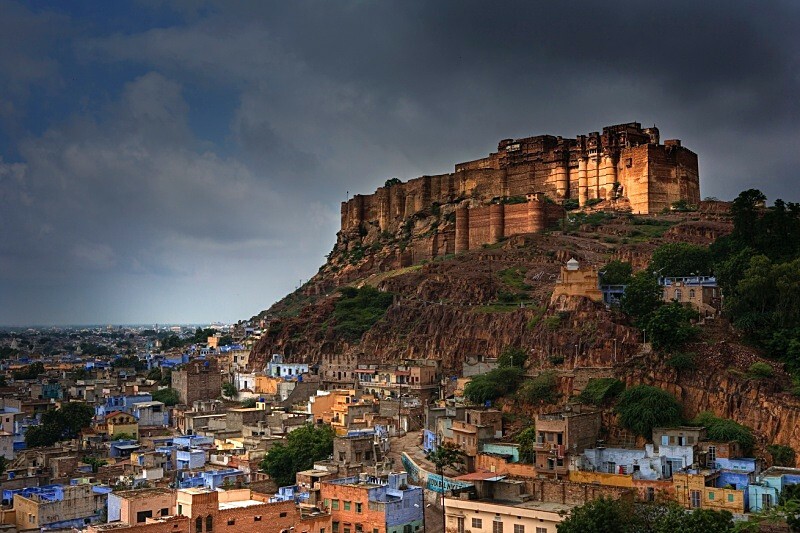 The city is commanded by the Mehrangarh fort, which is one of the largest forts in India. No wonder this fort features in every Rajasthan tour package. Visit this place in October to experience the Rajasthan International Folk Festival. Apart from these, Jodhpur has classic palaces and a museum showcasing its excellent heritage and art. This town in often overlooked by enthusiastic travelers. Bundi, like Jodhpur, features blue houses. 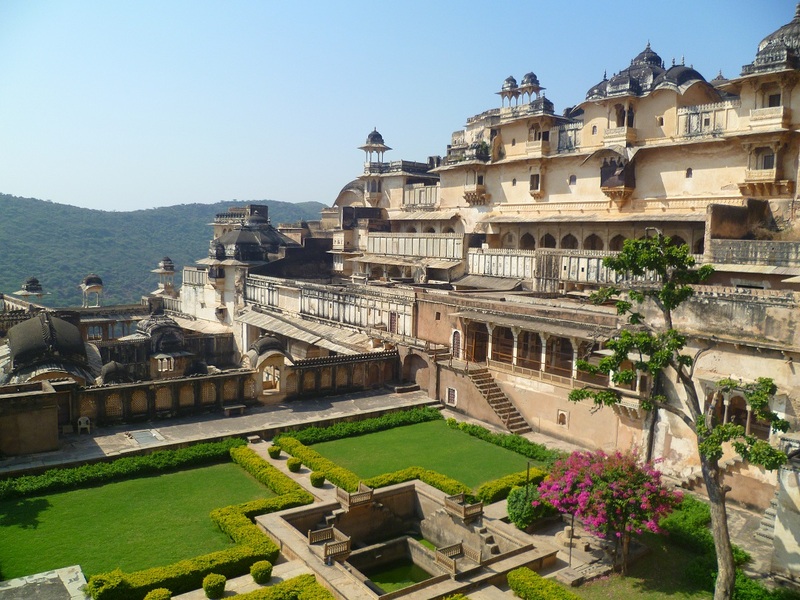 The town of Bundi is dominated by the imposing Bundi palace. The Bundi palace is known for its beautiful paintings inside the palace, which is affectionately known as phool mahal. 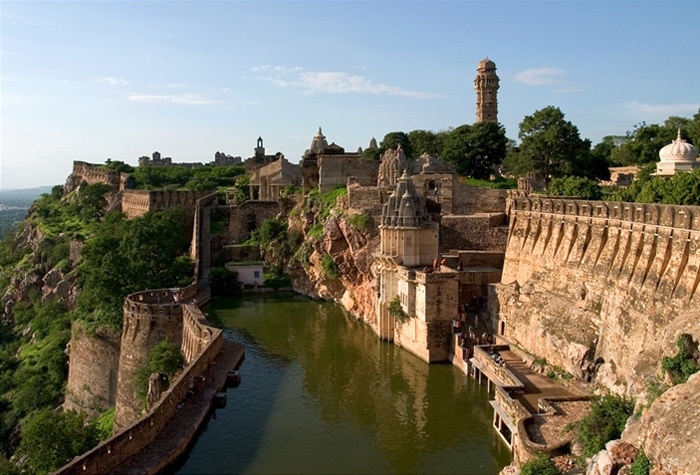 Chittorgarh is known for its Vijay Stambh or Victory Tower. The tower was constructed by Rana Kumbh to commemorate his victory over Mahmud Khilji. Apart from Vijay Stambh, there are plenty of tourist attractions such as Sammidheshwara Temple, Gaumukh reservoir, the Palace of Queen Padmini, Kumbha Shyam Temple, and the 8th-century Kalika Mata Temple. Please visit our official Travel Guide for more information on famous tourist spots in Rajasthan.